NZTA and Clemenger BBDO have done it again. The sustained success of the Legend campaign, or “ghost chips,” drove the jury to award this Gold Effie winner the Grand Effie. The judges were unanimous on this decision, commenting that the entry was a joy to read, had a strong set-up, was strategically sound, creatively disruptive, delivered great success for NZTA and was backed by very strong results. 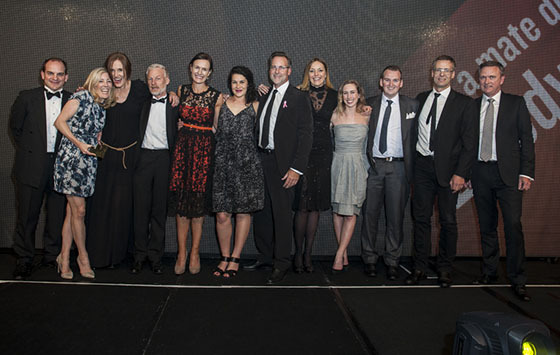 It was richly rewarded in front of 500 communications industry professionals and their clients at last night’s New Zealand Effie Awards, organized by CAANZ & held in association with TVNZ, to celebrate New Zealand’s most effective marketing communications campaigns. J Walter Thompson had a good night with a special mention for “Legit Brands. Legit Prices” for The Appliance Shed and an award for Sacred Hill, as did Y&R who won both the Gold and Silver Effie’s for their campaign for Land Rover. Also sharing in the 7 Gold Effie’s that were awarded by the jury were World Vision, FCB, Saatchi & Saatchi and Colenso. The Most Effective Agency of the Year for New Zealand went to Colenso BBDO with their impressive haul. This included a Gold Effie for their “Must be Milk” campaign for their client Fonterra, the strategy for which was much admired by the clients amongst the judging panels. The evening also included a moving tribute to industry legend David Walden who passed away earlier in the week. Everyone had a drink for Devo, which is as he would have wanted it.